The way our skin looks like, says a lot about us and it can ultimately define our image and self-esteem. 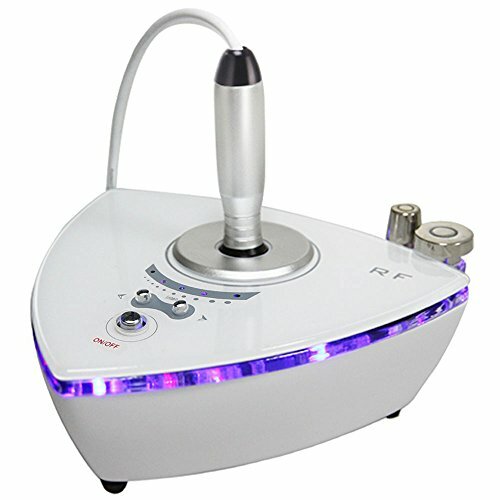 And using a radio frequency skin tightening machine is one of the techniques that can impact the aging signs. But choosing the best RF skin tightening machine is not easy, especially for beginners. There are plenty of options offered on the market and some important criteria to take into account. So, let’s see everything you need to consider when shopping for such a product and what can you choose! Radio Frequency skin tightening is becoming more and more popular nowadays. This cosmetic technique relies on heating up the tissue of the skin to produce more collagen. If your skin is producing more collagen, wrinkles will disappear along with other aging signs. This aesthetic process can be a great choice instead of the more classic facelift that women might be more used with. If you choose to apply this treatment, you can go to a professional or do it at home. If you are curious about this type of treatment, you will be glad to know that it comes with many benefits. Besides the fact that you can lose some of that wrinkle that makes you feel uncomfortable, you can also lose fat. Radiofrequency skin tightening can reduce the layer of fat by heating up the tissue. It would also result in a correction of the face shape and reduction of certain imperfections. Also, radio frequency skin tightening is a great way to reduce saggy skin on different parts of your body. You can apply it to your face, abdomen, thighs, legs, and arms. If you are looking into one of the best cellulite treatments, radio frequency skin tightening might be the answer to that too. Now that you know the advantages of the radio frequency skin tightening process, you might want to look into the best options on the market. You can purchase devices that allow you to access this treatment at home. Here are the best Radio Frequency Skin Tightening Machines. Project E Beauty Handheld Dot Matrix is one of the best and most comfortable options you can find regarding radiofrequency skin tightening. This product offers a radio frequency induced to the skin layers at a rate of 8.6 million per second. Such speed will stimulate your skin to produce more collagen as a result of the heating process. Project E Beauty offers an item that will re-establish the balance between positive and negative ion convection. In order to create this balance, the device will act in the subcutaneous layer of your skin and show the results on the surface of it. This process will not only activate the production of collagen, but it will also stimulate the metabolism. As a consequence of that, your skin will be cleared of wrinkles and aging signs. This product is made of high-quality materials such as FR4 glass fiber, and it is completely safe to use. Final Verdict: Get rid of wrinkles and increase the level of collagen with this budget-friendly device! Tripolar beauty devices use radio frequency skin tightening to give your skin a look you want. This is a great choice to remove wrinkles but also take care of several other skin imperfections. It is one of the best Radio Frequency Skin Tightening Machines that can be found on the market. It also comes at a higher price than most devices. The radio frequency creates heating energy that stimulates the production of collagen in your tissue. And the results are simply amazing. The entire texture of your face and neck can be rejuvenated with Tripolar. If you use this device, you enjoy a non-invasive process with incredible and fast effects on your skin. 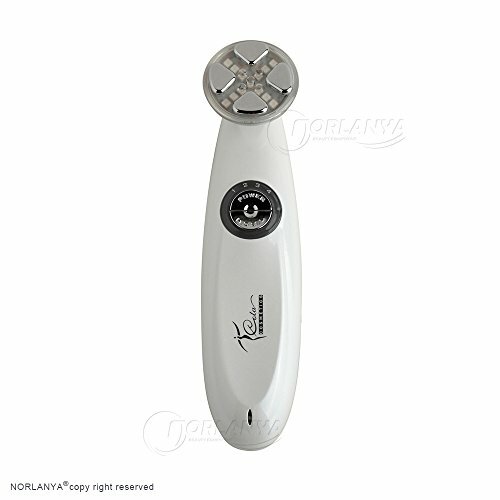 This product functions based on tri-polar radio frequency and will visibly increase the firmness of your skin. The package you receive will not contain cream. Final Verdict: The best non-invasive treatment to fix your skin’s imperfections. 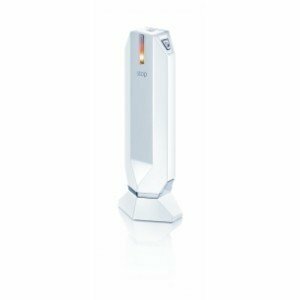 Another one of the best Radio Frequency Skin Tightening Machines that you can try is the DRESS facial lift toner, Demi. By using this product, you will look younger in a matter of days! It brings a unique combination of radio frequency and red light that will positively impact your skin. It is a great option to get rid of saggy skin in various parts of your body. Also, your skin will become firmer and look a lot healthier. For great results, you will need to purchase a special cream to go with this product but is not included in the package. Also, the radio frequency combined with yellow light is responsible for improving the level of elasticity in your skin. It will eliminate wrinkles and other possible imperfections caused by the aging process. And you can take this little device anywhere you want thanks to its increased portability. It might not show results as fast as you expect it to. Final Verdict: Get rid of saggy skin with a radio frequency that works along with red and yellow light! Beauty star facial offers you a great alternative to beauty salons that you can enjoy in the comfort of your house. This is one of the best Radio Frequency Skin Tightening Machines to use at home. You can even take it with you as you are traveling because it is very small and comfortable to carry. With Beauty star, you can repair the outline of your face if you so desire and reduce wrinkles. It is perfect for increasing metabolism and blood flow to certain areas of your body. Your skin will become more elastic, and it will start producing more collagen. Also, the manufacturer promises a full refund within 60 days, should you have any inconveniences with this product. And considering the affordable price that it comes with, there is no reason not to give it a try. It might just do miracles for you. Final Verdict: Take care of your beauty at home by using this budget-friendly radiofrequency skin tightening device! Are you looking for a very affordable facial care to rejuvenate your skin and correct its imperfections? NORLANYA might have the answer to your prayers! This is not only one of the best Radio Frequency Skin Tightening Machines but also one of the most affordable devices. It combines radio frequency with important processes such as electroporation and even photon therapy. And all of them combined work for the benefit of your skin. The devices come with four types of light such as red light, blue light, green light, and a mixed setting. Your skin will look younger and firmer in just a matter of days. And those wrinkles that kept bothering you? You can forget about them in an instant! To increase your comfort, this device is made to be recharged every time you need to use it. Once it is fully charged, it can sustain up to 20 minutes of treatment. Which is more than you need for a successful session. Final Verdict: Best price option for a quality radio frequency skin tightening device! Carer Wrinkle Remove Machine is probably the best radio frequency skin tightening machine when it comes to the price and quality. This product has 6 light modes including red, blue, green and various combinations of these. It is a great choice to get rid of wrinkles and increase the elasticity of your skin. Carer Wrinkle Remove Machine is created mostly to be used on your face. But it is not limited to your face alone as you can use it on other parts of your body as well. You can recharge this device easily by using the USB cable that it comes with which makes it even more convenient to use. Not only it will rejuvenate your skin, but it will increase the collagen production and reduce aging signs. And you can take it everywhere with you to make sure that you have the impeccable image that you want! The battery doesn’t last too long once it is completely charged. Final Verdict: Take care of your skin with this rechargeable budget-friendly device! When it comes to the best Radio Frequency Skin Tightening Machines, MYSWEETY 3 in 1 Diamond should be on your list. 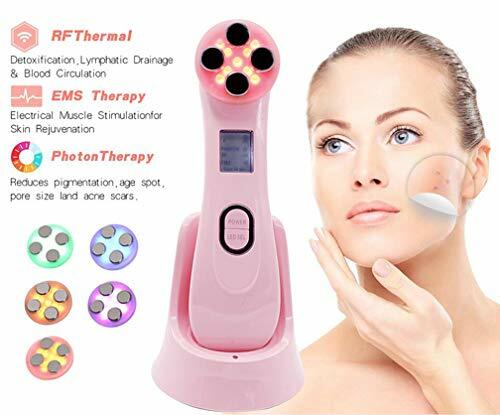 It is a high-quality device that can be used to treat scars, eliminate skin debris, wrinkles and even the not aesthetic pigmentation of your skin. Your skin will be efficiently peeled by the sterile diamond tips that will not damage it in the process. For best results, you should start using this product with its lowest setting and increase the intensity as your skin gets used to it. It is not recommended to be used on sensitive, damaged or inflamed skin. Pay attention to the vacuum and spray functions as well because they shouldn’t be used at the same time! Overall, this is a great investment to make for your skin, and it will most likely become your best friend! Final Verdict: Use diamonds to rejuvenate and fix your skin’s imperfections! Here are some aspects to consider when you are shopping for the best Radio Frequency Skin Tightening Machines! Price: The price might be of high importance for you and dictate what range of products you can look at. Once you set up your budget, try to get the best option within that budget. Luckily, there are high-quality products for almost any budget nowadays. Skin Results: Another important aspect is the side of your body that you can treat with such a device. Some radio frequency skin tightening products are made for your face and neck, while others are made for other parts as well. Check that before you purchase yours and even more important before you start using it. Portability: Most likely you will want to carry your beauty device with you, especially when you are traveling. If you get a rechargeable device, this might be easier and more efficient. If it is a portable product, the manufacturer will list that in the description. Side effects: Even if most radio frequency skin tightening devices are safe to use, there might be some side effects to consider. Some might create minor swelling or itchiness on your skin while others might generate pimples. Extra Features: Make sure you check the levels o intensity that the product comes with. You can choose different levels for certain areas of your body. 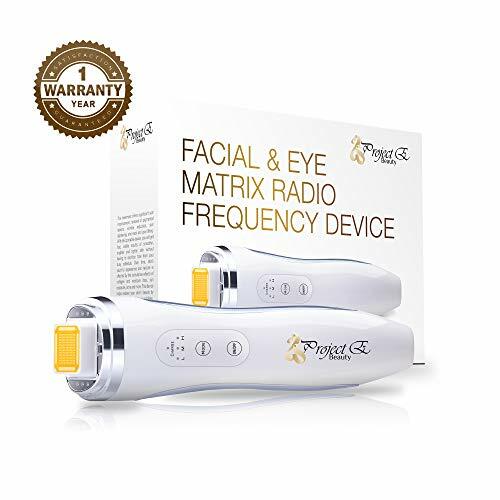 In general, radio frequency beauty devices that come in minimum 3 levels are considered the best. Beauty devices based on radio frequency use radio waves to increase the temperature in your subdermal layer of skin. By doing so, your skin will be enriched with more collagen and become more elastic. Radiofrequency skin tightening devices are meant to rejuvenate and heal your skin from the inside layers to the surface of it. In consequence of this process, you will lose not only the wrinkles but also the cellulite layer that can be bothering. If you are going to try one of the best Radio Frequency Skin Tightening Machines, Project E Beauty device is the one to go to. 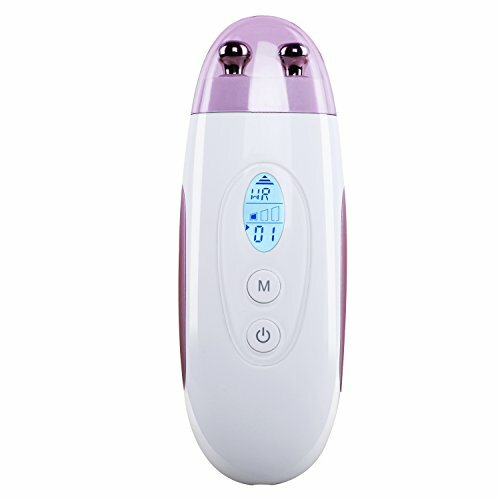 Unlike other similar products, you can use this beauty device based on radio eaves even on sensitive skin. It will not give you serious side effects, but the results are incredibly beneficial. Project E Beauty device will not only reduce your wrinkles but also increase your skin’s elasticity and make it look younger. And all these advantages come at a very budget-friendly price. Best Radio Frequency Skin Tightening Machines might not be easy to find if you are a beginner in the matter, but they are worth it. You can use them for almost any skin problem you might have, and the results can last for several months and even years! By considering the points above, there is no reason to fail in choosing such a product and enjoying the beautiful skin that you always wanted to have!